Soon after investigating the subject of angels we found that not much had been written on the subject in this century. This seemed a strange omission. Bookstores and libraries have shelves of books on demons, the occult and the devil. Why was the devil getting so much more attention from writers than angels? Some people even seem to put the devil on a par with God. There are also fallen angels (Luke 8:31). These are angels that have rebelled against God Almighty and have followed Satan, the most powerful created being that God has ever created. These angels are wicked spirits and seek to harass and cause the destruction and fall of believers (Ephesians 6:11-12, 1 Peter 5:8). Actually, Satan is a fallen angel and we rather want to concentrate on God’s messengers and secret agents… angels! How do angels function, and what role do they play in the fulfilment of prophecy? This is one aspect of their conduct that is well documented in Scripture, but at the same time, is quite mysterious. It deals with a specific role that they have played in our past, and will complete in our future. In the beginning… GOD! At the top of the hierarchy is GOD, the Creator of ALL angelic spirit beings… He is the ultimate spiritual authority… and the sovereign Ruler; “The LORD has established His throne in the heavens, and His sovereignty rules over all,” (Psalm 103:19). God created the angels and He gave them purpose to execute many of His acts in accordance with His will; “Bless the LORD, you His angels, mighty in strength, who perform His word, obeying the voice of His word! Bless the LORD, all you His hosts, you who serve Him, doing His will.” (Psalm 103:20-21). Actually, it is remarkable just how much the Lord God has delegated to His angels! Archangels… who are they? Michael and Gabriel are mentioned in the Bible! 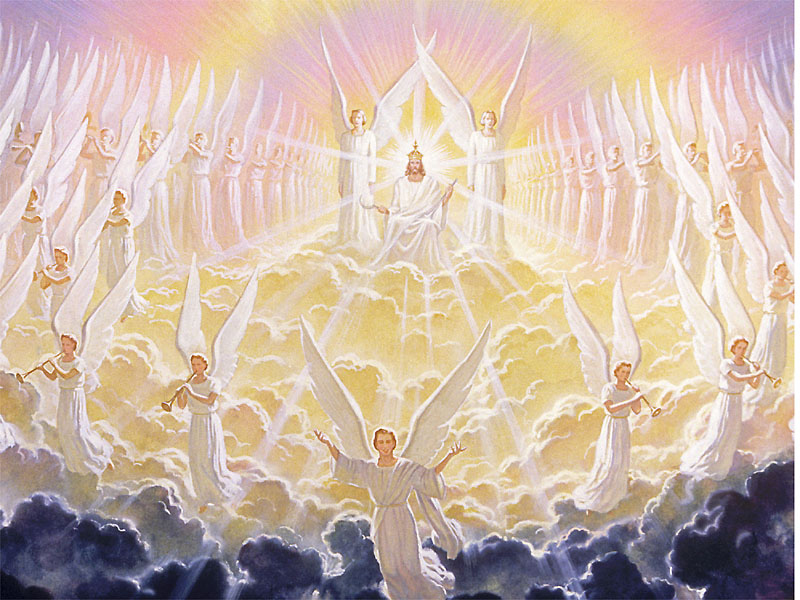 In heaven, archangels have the honour of enjoying time in God’s presence. Archangels are the highest-ranking angels in heaven. God gives them the most important responsibilities, and they do their work both in the heavenly dimension and in the earthly one. The word “archangel” is from the Greek words “arche” (ruler) and “angelos” (messenger), signifying archangels’ dual duties. Archangels rule over the universe’s daily operation on missions from God, while also delivering messages from God to human beings. Many people believe that archangels spend their time in heaven praising God and checking in with him often to get new assignments for their work on Earth. Archangels also spend time elsewhere in the spiritual realm fighting evil, according to Scripture. The archangel Michael in particular appears to be the head archangel who often takes the lead to battle evil with good, according to accounts in the Bible (Jude 1:9; Daniel 10:13; 21; 12:1). God has assigned guardian angels to protect each individual person on Earth, but he often sends archangels to accomplish earthly tasks of a larger scale. For example, the archangel Gabriel is known for his appearances delivering major messages to people throughout history (Daniel 8:16; 9:21; Luke 1:19, 26). Christians believe that God sent Gabriel to inform the Virgin Mary that she would become the mother of Yeshua (Jesus) on Earth. Though the Bible makes no statement concerning the origin of angels it emphatically declares them to have been created by God… but not until the second day (Genesis 1:8) of the Creation. Then as we read in Genesis 2:1-3; “And the heavens and the earth were finished, and all the host of them. And on the seventh day God ended His work which He had made. And He rested on the seventh day from all His work which He had made. And God blessed the seventh day and sanctified it, because in it He had rested from all His work which God created to make.” The first angel mentioned in the Bible was the cherubim in Genesis. His job was to guard the “tree of life” once Adam and Eve were thrown out of the garden…Even at the beginning of the Bible; we find that angelic witnesses observe the Lord’s divine proclamation upon the first couple, Adam and Eve. Though their number is not given, it is likely that the guardian witnesses at the gate of Eden were two in number: “So he drove out the man; and he placed at the east of the garden of Eden Cherubim’s, and a flaming sword which turned every way, to keep the way of the tree of life,” Genesis 3:24. The assumption that they were two in number is borne out by another well-known fact. We later find that the actions of the Aaronic priesthood are also overseen by two witnesses, in the form of two “cherubim’s;” “And you shall make two cherubim’s of gold; of beaten work shall you make them, in the two ends of the mercy seat. And make one cherub on the one end, and the other cherub on the other end: even of the mercy seat shall you make the cherubim’s on the two ends thereof. And the cherubim’s shall stretch forth their wings on high, covering the mercy seat with their wings, and their faces shall look one to another; toward the mercy seat shall the faces of the cherubim’s be,” Exodus 25:18-20. Annually, on Yom Kippur – the Day of Atonement – the High Priest entered the Holy of Holies to sprinkle blood upon the Mercy Seat. At this event, his duty was symbolically overseen by the two witnessing cherubs. They were, in fact, the only “witnesses,” since only the High Priest was allowed to enter this sacred chamber. From the time of Abraham onwards there are frequent references to their ministry on earth (Genesis 18; 19; 24:7, 40; 28:12; 32:1). Throughout the Old Testament we have one particular angel, called the Angel of the Lord that continues to appear to guide and protect Israel. This continues from Abraham, to Moses through the exodus and to other key figures of faith. This angel is also known as the “angel of his presence” (Isaiah 63:9 see Exodus 23:20, 21; 32:34; 33:2; Numbers 20:16) and is probably the Messiah Himself that guides His people. 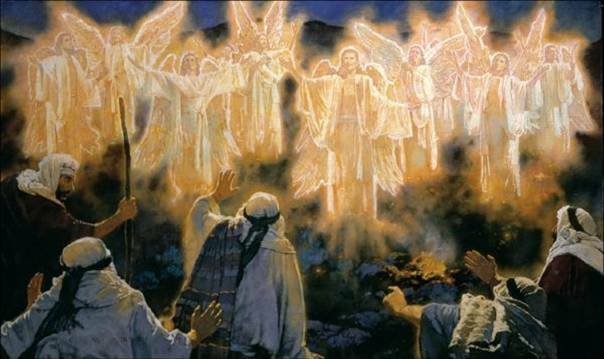 Angels were also active in the beginning of the New Testament period… with those who were connected with the Messiah. When we read the New Testament record it looks like they appear frequently but they do not. It is mostly over a span of 30 years. In Luke 1:11 the New Testament introduces us to an angelic visitation to Zechariah, because his wife would give birth to the forerunner of the Messiah, John the Baptist. 6 months later (Luke 1:26-38) Gabriel appears to Mary the mother of (Yeshua) Jesus with the news that she would conceive and give birth to a son, telling her “The Holy Spirit will come upon you, and the power of the Most High will overshadow you; for that reason the holy child to be born will be called the Son of God.” Angels also appeared to the shepherds in the field announcing the birth of the Messiah Luke 2:9. In Matthew 1:20 Joseph is warned in a dream to flee. At least one to two years later while in Egypt Joseph is again visited in a dream is told to leave Egypt (Matthew .2:19) to Israel because it was now safe. There were appearances of angels in Yeshua (Jesus)’ life… “Then the devil left Him, and behold… angels came and ministered to Him,” Matthew 4:11) and Luke .22:43. 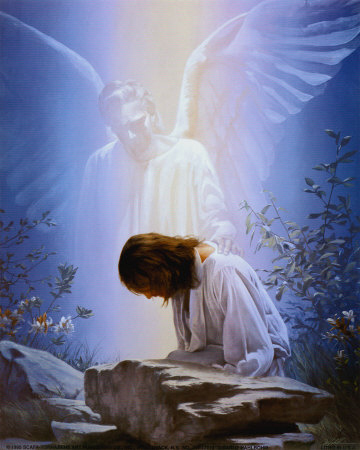 An angel was sent by God to strengthen Yeshua (Jesus) in Gethsemane at His suffering. Angels also appear at His tomb to roll the stone away when He resurrected (Matthew 28:2, 5) and they appear when He is taken to heaven at His ascension by the Father. 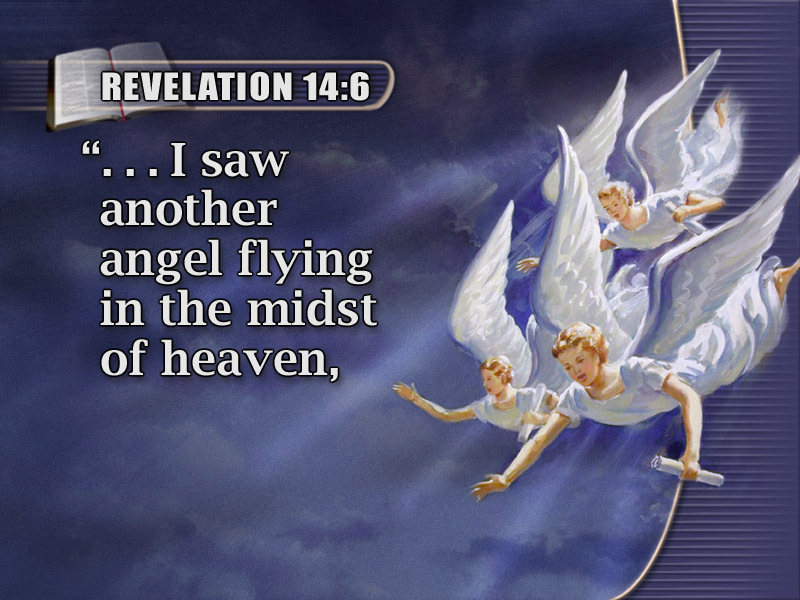 Angels appeared a few times to the Apostles and to others that would be lead into contact with the apostles. We see in Acts 10:3-7 that an angel of God In a vision came to Cornelius! In the ministry of the apostles we have in Acts 5:19; 6:15 an angel of the Lord opened the prison doors and brought them out three times. And, in Acts 12:5-11, when Peter was in prison, the church was praying for him God sent an angel set him free. Angels are sent to comfort, minister and to protect the saints (Hebrews 2:16)… especially the apostles who were the leaders of the church in its infancy. Paul recounts “For there stood by me this night an angel of the God to whom I belong and whom I serve, saying, ’Do not be afraid, Paul; you must be brought before Caesar; and indeed God has granted you all those who sail with you,’” Acts 27:23-25. The Bible teaches that angels intervene in the affairs of nations… God often uses them to execute judgment on nations. Archangel Michael is Israel’s angel… Daniel’s concluding chapter is introduced with the idea that Israel’s angelic representative will play a major role during the Tribulation; Daniel 12:1; “And at that time shall Michael stand up, the great prince which stands for the children of your people: and there shall be a time of trouble, such as never was since there was a nation even to that same time…and at that time your people shall be delivered, every one that shall be found written in the book.” Here, we are taken into the time of Jacob’s trouble… the second half of the Tribulation and onward, to the time when the books will be opened at the Great White Throne Judgment. In Revelation, we find that Michael defeats Satan, in preparation for the concluding events of the great judgment (Revelation 12:7-9). God uses angels to work out the destinies of men and nations… He has altered the courses of the busy political and social arenas of our society and directed the destinies of men by angelic visitation many times over. We must be aware that angels keep in close and vital contact with all that is happening on the earth. Their knowledge of earthly matters exceeds that of men. We must attest to their invisible presence and unceasing labours. Let us believe that they are here among us. Angels will play an important role in executing the judgment of God on those who refuse Yeshua (Jesus) as Lord and Saviour. They may not laugh or cry with us… but we do know they delight with us over every victory in the salvation of sinners. Jesus taught that; “there is joy in the presence of the angels of God when our sinner repents;” Luke 15:10. Christians must never fail to sense the operation of angelic glory. It forever eclipses the world of demonic powers, as the sun does the candle's light. As believers we should expect powerful angels to accompany us in our life experiences and let those events dramatically illustrate the friendly presence of “the holy ones,” as Daniel calls them in Daniel 4:17. Angels guide, comfort and provide for the people of God in the midst of suffering and persecution… In the midst of a world which seems destined to live in a perpetual state of crisis, the subject of angels will be of great comfort and inspiration to believers in God… and a challenge to unbelievers to believe. 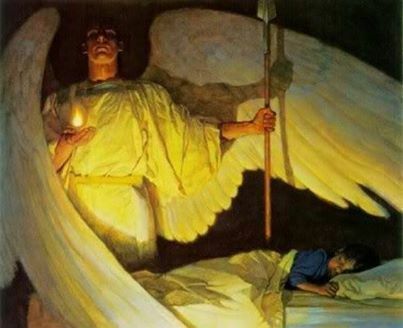 “He will give his angels charge of you, to guard you in all your ways;” Psalm 91:11. While angels have tremendous authority, it is limited to doing only the will of God… They never deviate from God’s message…never dilute His message and never change God’s plan. Throughout the ages they have glorified only Him… never themselves! 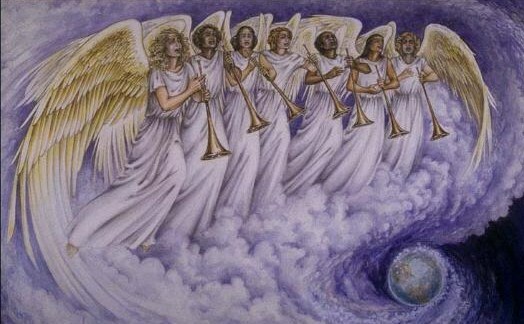 Angels are also powerful worshipers… Like the living creatures in Ezekiel and the book of Revelations. Lucifer was once a model worshiper before he sinned. At times angels help us worship or join us in worshiping God. The angels are extremely powerful. The prophet Isaiah had the great privilege of seeing them and wrote, “The Lord sitting on the high extolled throne, the hems of His vestments filling the whole temple. Surrounding Him were the Seraphim, each having six wings; with two they covered His face, with two they covered His feet, and they flew with the other two. And they called to each other and said; “…Holy, Holy, Holy, the Lord Sabaoth (Armies or Hosts)!” The whole world is filled with His Glory“(Isaiah 6:1-4). Ezekiel 10:9-20 and gives a vivid description of them that is hard to imagine. Certain angels were solely created for the purpose of giving continuous praise and worship to God Almighty as found in Isaiah 6. The ministering angels work better when we know and believe how they minister to us… The problem is, most church people are ignorant about this and even refuse to believe that angels still exist in our midst, visible and invisible. Without faith, we cannot please God and angels will not move a “muscle” if we don’t believe. Indeed, Satan is capable of doing supernatural things… but he acts only by the permissive will of God and is submissive to God’s supreme will. It is God who is all powerful. It is God who is omnipotent. God has provided Christians with both offensive and defensive weapons. We are not to be fearful, we are not to be distressed, we are not to be deceived, nor are we to be intimidated. Rather, we are to be on our guard, calm and alert; “Lest Satan should get an advantage of us, for we are not ignorant of his devices,”2 Corinthians 2:11. Spiritual war and battles always rage around us often unseen by the naked eyes… An example in Daniel 9/ 10 we see a battle happening. It was not expressed in detail but we're given the impression that an angel was faced with a “fierce resistance causing a delay” in the delivery of a message for Daniel. We see angels in the Old Testament sometimes with drawn swords. This means they use supernatural swords and other weapons to combat the forces of drakness. Angels win battles for us depending on how steadfast we are in faith. If we falter in faith, they have no choice but to retreat, not out of defeat …but because God will command them so, and the power of darkness will hover around us. It would be difficult for angels to rescue us then, unless we repent and strengthen ourselves in the Word of God building our faith. When we worship in Spirit and truth, angels are given a go signal from God to attack relentlessly. If we like Daniel maintain faith no matter what, angels win for us and drive out darkness. However some delays are within God’s permissive will, not due to weakness of faith. And God’s delays never result to help being sent too late. A Powerful Wall of Fire… Angels surrounds God’s servants who are cornered by the enemy. We find this in the case of Elisha and his servant in 2 Kings 6:16-17. As the enemy surrounded them, they were backed up by angels in fiery chariots who counted more than the adversaries. This is an automatic provision from God. When you're in danger, this wall of fire is automatically set off. 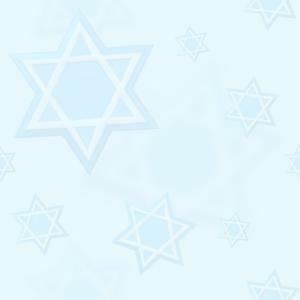 “Your hand shall find out all your enemies; your right hand shall find out those who hate you. You shall make them as a fiery oven in the time of your presence; Jehovah will swallow them up in His wrath, and the fire shall devour them,” Psalm 21:8-9. Also we can see in Hebrews 1:7; “And of the angels He says, who makes His angels spirits and His ministers a flame of fire,” is a quote of Psalm 104:4. Here “spirits” can also be rendered “winds” (Hebrew the words, “spirit and wind” are often synonymous) and better translated as angels that are swift as wind, rapidly doing Gods will, ministering judgment for God. In this passage, angels are the spirit creatures God sends according to the need of their service; in this case, being a “flame of fire” is about judgment. The most important characteristic of angels is not that they have power to exercise control over our lives, or that they are beautiful… but that they work on our behalf. They are motivated by an inexhaustible love for God and are jealous to see that the will of God in Jesus Christ is fulfilled in us. Angels are emotional creatures; they speak and they appear and re-appear. While angels may become visible by choice …ordinarily we cannot see angels because they are spirits. But as God permits, there are times when they become visible. Today, they continue to appear bodily as "strangers," and thus the Bible warns us to be kind to all people, even strangers (Hebrews 13.1). There are countless situations in Scriptures where mortals saw angels. It is no mere accident that angels are usually invisible. Though God in His infinite wisdom does not, as a rule, permit angels to take on physical dimensions, people tend to esteem them in a fashion that borders on worship. We are warned against worshiping the creature rather than the Creator (Romans 1:24-25). It’s no less than un-Scriptural and a breach of the first commandment, to worship any thing or person other than God. The Apostle Paul has pointed out that while unusual manifestations may be deeply significant, Yeshua (Jesus Christ) the incarnate God, the second person of the Trinity, who is creator of all things and by whom all things exist, is worthy of our worship. (Colossians 2:18). We are not to pray to angels. Nor are we to worship them. Only the Triune God is to be the object of our worship and of our prayers. Moreover, we should not confuse angels… whether visible or invisible, with the Holy Spirit, the third person of the Trinity and God… Angels do not dwell in men; the Holy Spirit seals them and lives in them when they are born again children of God. The Holy Spirit is all knowing, all present, and all powerful. Angels are mightier than men… but they are not gods and they do not possess the attributes of the Godhead. Not angels… but the Holy Spirit convicts men of sin, righteousness and judgment (John 16:7). He reveals and interprets Yeshua (Jesus Christ) to men, while angels remain messengers of God who serve men as ministering spirits (Hebrews 1:14). So far as we know, no Scripture says that the Holy Spirit ever manifested Himself in human form to men. Yeshua (Jesus) did this in the incarnation. The glorious Holy Spirit can be everywhere at the same time, but no angel can be in more than one place at any given moment. We know the Holy Spirit as spirit, not flesh, but we can know angels not as spirits alone but sometimes also in visible form. At the same time, both angels and the Holy Spirit are at work in our world to accomplish God’s perfect will. Frankly, we may not always know the agent or means God is using - the Holy Spirit or the angels - when we discern God’s hand at work. We can be sure, however, that there is no contradiction or competition between God the Holy Spirit …and God’s command of the angelic hosts. God Himself is in control to accomplish His will - and in that we can rejoice! The Holy Spirit guides us, no doubt. But many times, the Holy Spirit does this by sending messengers, as in the case of Peter in Acts 12 when an angel told him what he should do after being miraculously freed from prison. Yes, angels also help believers escape traps and prisons. Daniel was kept from being devoured by lions due to a mighty warrior angel who stopped the lions' mouth (Daniel 6:22). The angels have an advantage over us - we cannot see them… but they can see us and they are watching us… The angels are probably saying Look what God did in that man's life — he is perfect and he is wise. And what is the angels' response? They praise God! Angels, acting as intermediaries, messengers, soldiers and guardians … closely oversee the work of God. They oversee both the utterance of the prophets and the final disposition of their prophecies. They guard the elect, and execute judgment upon the enemy. They are all around us … all the time. One day, in amazement, we’ll see them as they are! We hope that you enjoy and become more informed by our work. We serve an awesome God and we are humbled by this opportunity to bring you this information.